Wildlife photography provides a captivating insight into nature and the beauty of the animals that share our planet.Photographs give us a window into their lives, allowing us to look at their behaviours and eccentricities and appreciate the things that make them unique. Photography can also increase awareness of the issues that affect animals in the wild, such as climate change and illegal hunting.Wildlife photographers are fortunate enough observe animals in their natural habitats. As our monthly theme for October is animals, we’ve compiled 5 of the best famous wildlife photographers for you to enjoy. Suzi Eszterhas is an award–winning wildlife photographer who’s well known for photographing newborn animals in the wild. She’s travelled to every continent in the world to capture poignant images of wild animals like elephants, penguins, birds and chimpanzees. Suzi’s work has been featured in many reputable publications such as TIME, BBC Wildlife and NationalGeographic Kids. Check out her portfolio to see some truly remarkable shots. Jon Cornforth is another internationally renowned photographer who’s dedicated his life to travelling the world and capturing incredible images of animals. He’s photographed an array of sea animals, including whales,dolphins and sea turtles. See his captivating portfolio here. Specialising in birds, Rathika Ramasamy is one of the most famous wildlife photographers in India. She’s travelled to many National Parks in India and Africa to capture an array of awe–inspiring images that are distinctive because they tell a story. Rathika is also passionate about photographing other animals,and her portfolio includes tigers, rhinos and lions. Gabriela Staebler is a German photographer who’s travelled to every continent in the world to photograph animals. Her images are particularly distinctive because they’re powerful and emotive, and she’s captured some truly breath taking shots in her career. 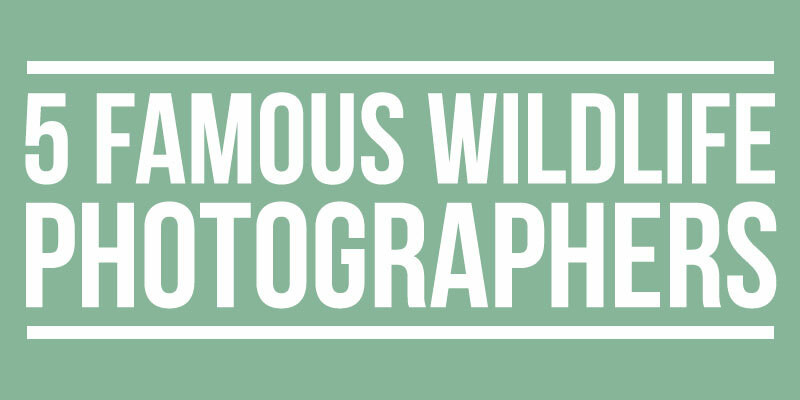 Having photographed everything from crocodiles to birds, she’s definitely one of the stand–out famous wildlife photographers. The final photographer on our list is David Lloyd who’s based in London. His portfolio features some stunning images of wild animals such as lions, elephants, leopards and giraffes. He’s known for using striking black and white effects on his photos,making them even more effective. Are you a fan of any famous wildlife photographers? Let us know in the comments!